So I was roaming around style.com (getting ready to begin selecting my favorite selections of the “C” designers) and happened to come across this Chanel bag! Chanel, known for being classy and sophisticated… came out with a bag that seamed to me as more cosmopolitan! 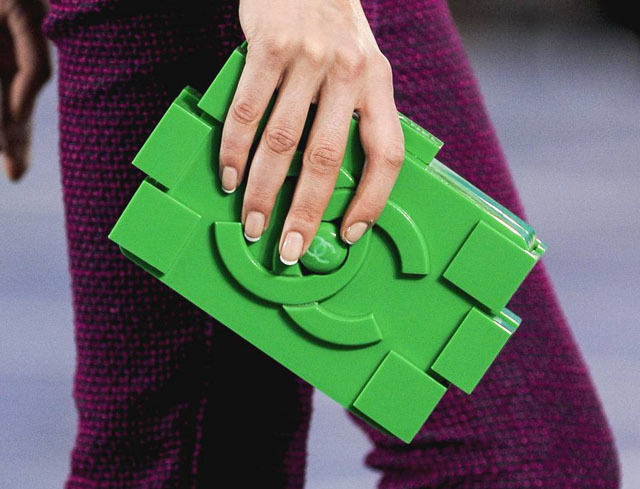 This Lego shaped clutch was certainly a unique accent to the collection – quite the eye catcher!